There are now only 26 days remaining in 2014, so let’s take this opportunity to review a quick checklist of year-end strategies and reminders. 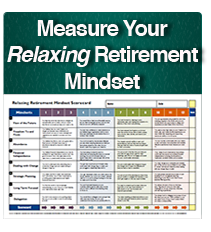 If we’ve all been properly strategizing and implementing throughout the year, as the overwhelming majority of Relaxing Retirement members have, this year-end checklist simply serves to confirm what we’ve already done. However, we all lead busy lives and managing your financial life isn’t always at the top of your list that you draw up each and every morning with your cup of coffee. Medicare: Open enrollment for Medicare, including Part D and Medicare Advantage, ends this Sunday, December 7th. Don’t miss this opportunity to shop plans to best suit your health needs and your wallet. Age 70 ½ Required Minimum Distribution (RMD): If you’re age 70 ½ or older, you must take a mandatory distribution from your IRA. 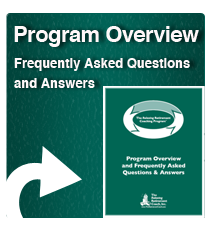 The amount you must withdraw in calendar year 2014 is based on the combined value of all your qualified retirement plans as of December 31, 2013 (IRAs, SEPs, 401(k)s of ex-employers, etc.). Negative Income: Take a close look at your 2013 income tax return. Make sure that your “taxable” income on page 2 of your 1040 is a positive number. And, if you have tax credits from Boston Capital or WNC, that taxable income number should be substantial so you can use your credits. As you’ve heard me mention numerous times in the past, I see this way too often, i.e. itemized deductions and personal exemptions that are higher than your taxable income. What this indicates is that you have the opportunity to realize and show more taxable income and still pay no federal income taxes. How? Withdraw more taxable funds from your IRA that otherwise would have been taxable. Roth IRA Conversion: Explore converting some of your IRA to a Roth IRA, especially if you have “negative” income (see previous bullet). It gives you an opportunity to convert some or all of your IRA to a Roth with no (or very little) federal income tax consequences. And, allow your money to continue to grow tax free for the rest of your life! Retirement Plans at Work: If you’re still earning money from work, even if that’s part time, make sure you maximize contributions to your 401(k), 403(b), or 457 MA Deferred Compensation Plans if employed, or your Sep, Simple, Defined Benefit Plan, IRA, and/or Roth IRA if you’re self-employed. Every dollar you contribute comes off your taxable income column on your tax return. Capital Gains and Losses: In addition to your realized capital gains so far this year, take a close look at your unrealized capital gain or loss positioning in your Non-IRA accounts right now. Then, go back to Schedule D on your 2013 return and verify if you have any realized capital losses that you may have carried forward to 2014. 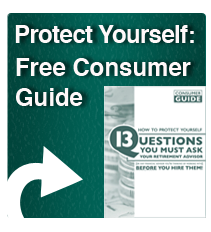 Armed with this all of this information, you can make informed decisions on buying and selling in order to free up cash for your upcoming spending needs. ***We’re going to examine this in greater detail in the next edition of The Retirement Coach Strategy of the Week. Your Spending: So you can continue to spend with confidence, take a look at what you spent in 2014 vs. what you predicted you would spend in your Lifestyle Cost Estimator™. Is it more? Is it less? Remember, your goal is NOT to restrict your spending or to “budget”. It’s simply to “account” for what you’ve spent and be confident with your numbers. If I had to sum up one commonality amongst my most successful Relaxing Retirement Members, it’s that they all know their numbers and they can tell you exactly where they are. The reason they’re so financially confident, and in turn successful, is that they’re in complete control of their finances vs. the masses who are completely out of control and in constant reaction each day. They’re not locked up in a room studying investments and tax laws all day. Quite the opposite! They’re actually the ones who travel the most and have the most fun without being concerned about money. And, the reason they’re not concerned is they have a clear handle on what it costs for them to live exactly the way they want. If you have any questions as to where you personally stand in relation to any of these, please don’t hesitate to call me. I look forward to helping you. Stay tuned next week for a closer look at year-end tax strategies to consider when freeing up funds to support your 2015 cash flow needs. P.S.WHO do you know who could benefit from receiving my Retirement Coach “Strategy of the Week”? Please simply provide their name and email address to us at info@TheRetirementCoach.com. Or they can subscribe at www.TheRetirementCoach.com.I appreciate the trust you place in me. Thank you!